We are often consulted by clients seeking our advice as to how they can avoid any care charges in the event that they need to be admitted into a Residential Care Home. The honest answer is that there is no guaranteed way to avoid care charges completely. Any elaborate scheme purporting to eliminate care charges is likely to be flawed in one way or another. If you have capital over £26,500 you will require to meet the full cost of any care charges until such time as the cost of those care charges depletes your capital to a level below £26,500. If you have capital below the lower limit of £16,500 this capital will be ignored in calculating how much you have to contribute to the cost of your care and you will get help with your Care Home fees from the State. Between the upper threshold of £26,500 and the lower threshold of £16,500 you will be assessed as though you have an extra £1 per week income for every £250 or part of £250 between the lower and upper limit. This is called tariff income. Capital includes property, money in the Bank, Stocks & Shares, Premium Bonds, cash and any other financial assets that you may hold. With the lower limit being so low it is incredibly difficult to manage your Estate so that you only have less than £16,500 in capital. The good news is that the value of your house will be entirely exempt from this assessment of care charges so long as the same is being occupied by your spouse or another family member. So whilst a family member is living in your house the value of the same will not be taken into consideration for the assessment of care charges. For the avoidance of doubt, this must be a true residence and one could not simply expect to deposit a “distant third cousin, twice removed” into the property on the eve of you being admitted into care and expect to avoid care charges in this way. Before turning to the methods in which one can minimise exposure to care charges, we will first touch upon one method that simply does not work. An Asset Protection Trust or Family Asset Protection Trust is marketed as a sure fire way in which to protect a family home or any other asset from the assessment for care charges. The going rate for preparing the same is nothing short of a few thousand pounds. The problem with a Family Asset Protection Trust (aside from the exorbitant cost!) is that it has its basis in this marketing as a way of avoiding care charges. In transferring your house into a Family Asset Protection Trust, you are disposing of an asset for no consideration. The Regulations in relation to financial assessment provide that a Local Authority can look back, indefinitely, through any past transfers of property that you may have made and, if they come to the conclusion that you simply disposed of this property in an attempt to avoid care charges, then they have the power to simply disregard that disposal. 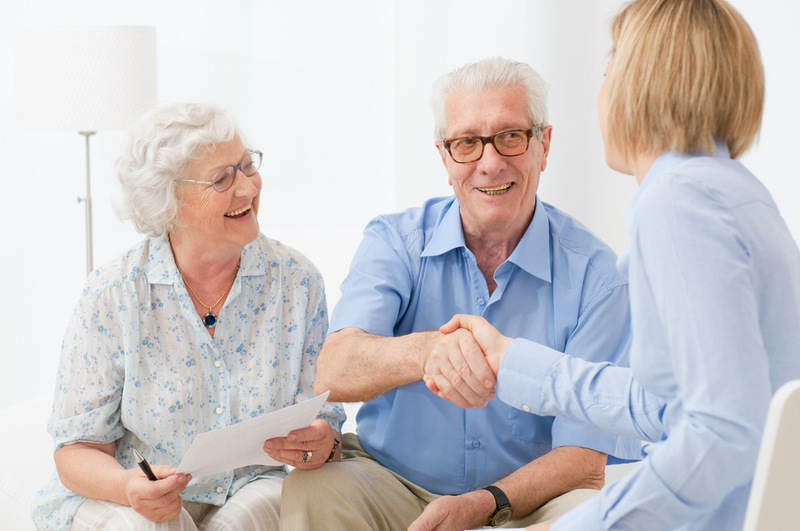 Where an individual, or couple, are signing up to a Family Asset Protection Trust, as it is marketed as a way to avoid care charges, it is pretty clear of their intentions in carrying out this disposal to the Trust. It is for this simple reason that a Family Asset Protection Trust is fundamentally flawed when it comes to minimising your exposure to care charges. If something seems too good to be true the likelihood is that it is simply too good to be true. Hastings Legal were offered the opportunity to market Family Asset Protection Trusts on behalf of a Third Party Company and it is because of this fundamental flaw that we chose not to do so and cannot recommend to our clients that they should enter into the same. There is a misconception, often talked about, that if you are to dispose of a property for no consideration and then a period of seven years is to pass, that this disposal will be disregarded by the Local Authority for the purposes of assessing care charges. This is a myth. In actual fact, as we have previously mentioned, the Local Authorities can look back indefinitely and there is no restriction upon the time frames involved. The seven year rule applies to gifts and Inheritance Tax and is a completely unrelated matter to the assessment of care charges. Another option for minimising your exposure to care charges is known as liferent and fee. This is a special form of Trust in Scots Law whereby the capital element of a property, such as the house, is transferred, for example, to your children, this is known as “the fee” and a right to live in the property is retained by you, known as a “liferent”. There is no restriction on disposing of a property for no consideration, what is important to consider is your motivation and intentions when disposing of the property. If, therefore, you can justify the disposal of a property to your children on a liferent and fee basis through some other justification other than wishing to avoid care charges and this justification is evidenced, plausible and recorded, then the liferent and fee method may help you minimise your exposure to care charges by protecting your main asset; your house. As previously mentioned, however, any disposal for no consideration could be subject to a claim by the Local Authority on the basis that you carried this out to avoid care charges. The greater time period from you transferring the house in a liferent and fee arrangement to your children, to you then being admitted into care, will increase the likelihood that this method will be successful in avoiding care charges. If you simply enter into a liferent and fee arrangement the year before you are admitted into a care home, it is unlikely to be successful and the Local Authority simply include the value of the property within their financial assessment of your capital. It is for this reason that the liferent and fee arrangement may work but it is not guaranteed to do so. There are a number of uncertainties and, in the present era of austerity, it is likely that any Local Authority will take a stronger view upon such disposals in future. We have known the liferent and fee arrangement to be successful in minimising exposure to care charges in the past, however, this is unlikely to continue, going forward. The final, and most viable option, is guaranteed to help preserve either the entire value or at least half the value of your house. Generally speaking, most couples own a house jointly. When a couple purchase a house together they have two choices as to the manner in which they wish to take title to their property. A married couple would typically take title to a house “equally between them and to the survivor of them”. This has advantages for a couple because when one of them sadly dies the ownership of the house would automatically transfer into the sole name of the survivor. There are no additional legal expenses associated with this transfer and there is no Court procedure involved. It is for this reason that this is a very popular method of taking title to a property for a couple. The second option is where a couple simply take title to the house equally between them or, perhaps, in some other apportionment of share, but without the survivorship destination. This means that when the first party passes away their interest in the property does not automatically transfer to the survivor, instead, it is dealt with as specified in their Will. The downside to this arrangement is that there is an additional legal expense involved in then transferring the property through the Will to the survivor. The greater risk for a young couple is probably that one of them is to predecease the other. One party is admitted into care. At this stage the value of the house is completely exempt from the assessment of care charges because the “capable” spouse is still living in the property and can therefore enjoy the exemption from financial assessment as mentioned above. If, however, the capable spouse still living in the property then predeceases the spouse who is living in “care” this exemption is terminated and the survivorship destination then transfers 100% of the value of the house to that spouse living in care, thus making 100% of the value of the house now liable to the financial assessment. The good news is, there is a solution to this problem. The survivorship destination that might be included within the titles to your property can be removed at a relatively modest expense. Upon the death of the first party, the property is then dealt with through their Will. The principle of testamentary freedom within a Will is long established in Scots Law, subject to some restrictions. What we can then do is specify within a Will that the house is either to be left directly to the children or to whomsoever you may choose with a right of liferent in favour of your spouse. Your spouse does not really need to own the entire house, what they need is the right to live in the house for the rest of their days. The actual ownership of the capital is simply baggage to them. A couple’s Wills can either be amended as and when they decide to remove this survivorship destination from their title or when the first party is admitted into care. The party being admitted into care might have lost capacity and be unable to amend their Will and it is probably for this reason that they have been admitted into care. It is not their Will that needs to be changed, however, the Will that needs to be addressed is the Will of the party who is still fit and healthy and is living in the property concerned. This can therefore be achieved with relative ease and minimal expense. the financial risk of making a contribution towards your care charges from an assessment of your interest in the value of your property. The main benefit in utilising this third option is that it is guaranteed to at least protect a one half share of the value of the property. The difference here is that you are not transferring any interest in the property for no consideration, therefore, the Local Authority is unable to roll back the clock and challenge any transfer. Instead you are simply changing what is going to happen in the future, if you like, you are redirecting the train tracks for a train that is yet to arrive rather than making a transfer now which could be open to challenge in the future. Planning for care charges is a complicated area of the law. It requires careful thought. If you wish to discuss any of the above matters please call Hastings Legal on 01573 226999.